Innovative motorsport and high performance automotive transmission technologies are advancing at an exceptional rate and demand increasingly efficient and compact novel designs to match the requirements of the electric and hybrid cars of the future in Motorsport and for the road. As a world leader in innovative transmission technologies, Xtrac is driving ahead with a significant investment in a large additional factory on our Thatcham HQ site, increasing the size from 88,000 sq ft to 115,000 sq ft in which to house a state of the art manufacturing facility with new machines & new manufacturing technologies and most importantly recruiting additional personnel to take the company forward and into the future. Due for completion in September 2018 this significant increase in capability and capacity will enable Xtrac to provide an even better service to its many Motorsport customers around the world, as well as enabling an increase in the number of high performance automotive transmissions, assembled each year for the EV and hybrid vehicle sector. Investing in apprentices, trainees, undergraduates and the personal development of our existing employees is paramount to the successful growth of the company and the fruits of our award winning training programmes can be seen in many of our highly skilled engineers, machinists, commercial staff and administration personnel. 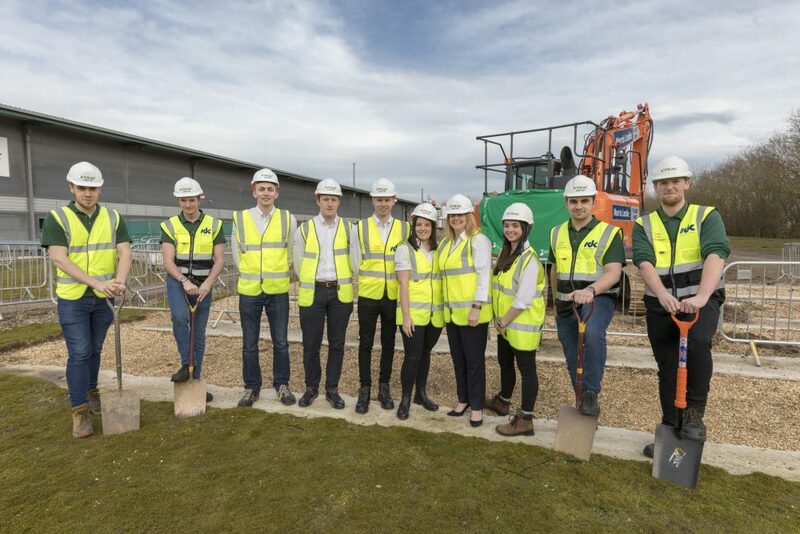 Our first year apprentices and under-graduate trainees recently broke ground on the new building and construction has been progressing at pace since. The building has been designed by award winning architects Ridge and Partners with SDC appointed as the prime contractor. 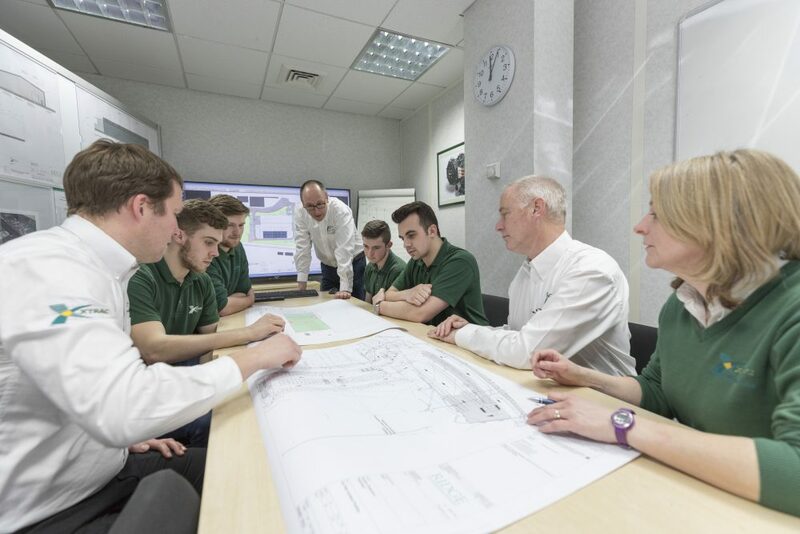 Xtrac’s Andrew Jackson (Project Manager) and his team of Claire Terry, Simon Quirk and Sam Handley, brief the first year apprentices on the new factory plans. 2017 Apprentices and Undergraduates Breaking Ground For Factory Extension.